How Far is Shagun Perfect 10? Perfect 10 is one of the residential joint development of Shagun Developers,Manav Group and Bhoomi Group. It offers 2BHK and 3BHK apartments. The project is well equipped with all the amenities to facilitate the needs of the residents. Perfect 10 Balewadi Pune 2 & 3 BHK flats are a mirror to your dreams of having a home that reflects your exquisite taste & elegant personality. A reflection of your true self, Perfect 10 is your ideal address. Offering nothing but the best, the 2 & 3 BHK flats at Perfect 10 Pune are surrounded by lush green serene environment well connected with the creme of Pune city. A perfect lifestyle that embodies simplicity with class, these 2 & 3 BHK homes allow you to unwind and relax in the lap of comfort and status. Your decision to buy 2 BHK flat in Pune is an important new chapter of your life. During this special phase of yours, there's nothing that gives more joy than finding an idyllic 2 BHK apartment in Pune. When world class creators come together to make a paradise filled with dreams, hopes, values, trust and honesty, what follows is an ideal creation just as the luxurious homes at Perfect 10 Balewadi, Pune. Created by Shagun Builders, Perfect 10 is set at one of the most alluring addresses at Balewadi in Pune. With everything within an arm’s length, this project has many conveniences to offer. The project is a fine blend of impeccable planning and execution. The apartments boasts of tasteful materials and finishes. The architecture is well designed by experts who have taken care of every detail. Comprising of a number of modern amenities, the residency is planned in a way to take care of the recreational and fitness needs of its dwellers. On the whole, Perfect 10 by Shagun Builders is surely worth consideration. Amenities: Out of the many world class facilities, the major amenities in Shagun Perfect 10 includes 24Hr Backup Electricity, Amphitheater and Open Lawns, Badminton Court, Basket Ball Court, Car Parking, CCTV Cameras, Club House, Community Hall, Cricket Court, Earthquake Resistant, Gymnasium, Indoor Games, Intercom, Jogging Track, Landscaped Garden, Library, Lift, Maintenance Staff, Party Area, Play Area, Rain Water Harvesting, Squash Court, Swimming Pool, Table Tennis, Toddlers Pool and Yoga, Aerobics and Meditation Room. Location Advantage: There are number of benefits of living in Apartments with a good locality. The location of Shagun Perfect 10 makes sure that the home-seekers are choosing the right Apartments for themselves. 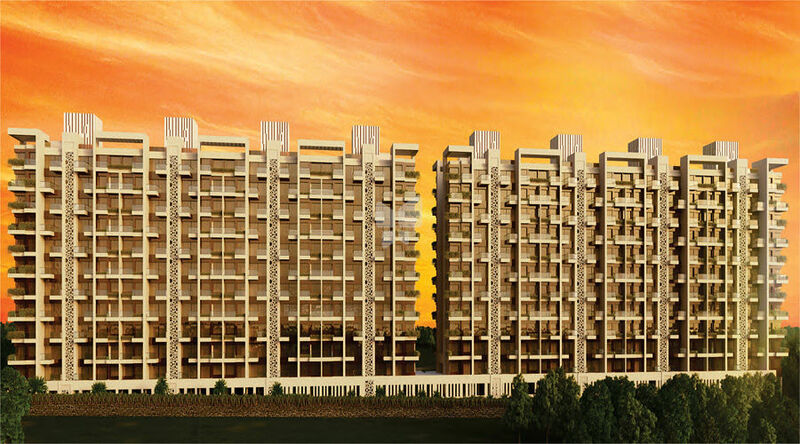 It is one of the most prestigious address of Pune with many facilities and utilities nearby Balewadi.